This club is open to everyone who owns the Kaleidoscope Collection add-on for EQ software. 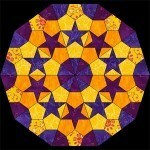 Use these Kaleidoscopes to really design some cool quilts…and learn in the process. If you have EQ5, EQ6 or EQ7 and the Kaleidoscope Collection add-on CD installed, you’ll be able to follow along. 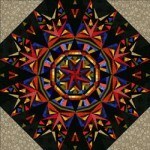 This is the first of twelve Kaleidoscope lessons. 02 Kaleidoscope Collections – Let it Snow! 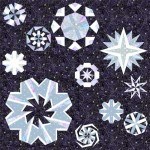 This is the second of twelve Kaleidoscope lessons and we are going to work in Custom Set with Snowflakes. 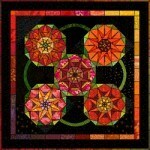 This is the third of twelve Kaleidoscope lessons. It’s a 2-parter. We’re going to draw like crazy! 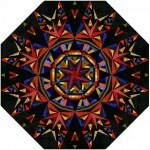 This is the fourth of twelve Kaleidoscope lessons. So let’s finish the last lesson. We’re going to draw like crazy. This is the fifth of twelve Kaleidoscope lessons. Flowers are a natural for this foundation piecing technique so this quilt is called the “Congregation of Poppies” quilt. 06 Kaleidoscope Collections – Alternate Blocks! 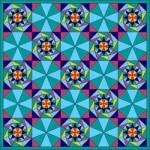 This is the sixth of twelve Kaleidoscope lessons. Sometimes it’s nice to give the eye a chance to rest. In this lesson we’re going to draw some simple alternate blocks that work with the two different corner styles. 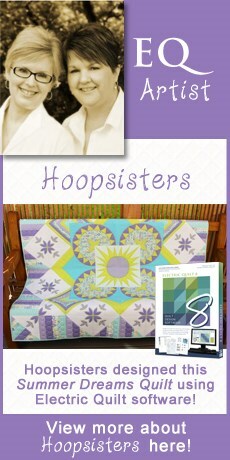 Then we will ALT+click away to see how our new blocks work in simple horizontal quilts. 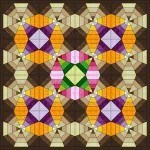 This is the seventh of twelve Kaleidoscope lessons. Knowing some basic principles of Color Theory can help you create the perfect look in your next quilt. We’ll practice figuring out ‘what is important’ in the design and ‘making it important’ via color. 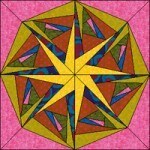 This is the eighth of twelve Kaleidoscope lessons. When I started these lessons I tried to make them something both EQ5 and EQ6 Users could easily do with the same set of directions. Well… this is the first lesson where it’s going to be difficult for me to do that. EQ6 has a bunch of new features that make it soooo much easier to do the technique I want to show you. This lesson we are going to plan layouts that work with big octagons. So even if you haven’t done the mystery side-sewing project, the techniques presented will hopefully be new to you and something that will help with other projects. This lesson we are going to work with Vertical Strip quilts. They are a very under-appreciated layout style that need a lesson… and they just happen to give really cool results when used with Kaleidoscopes. This lesson we are going to draw again. Make sure you brush up on the Foundation Fundamentals (Lesson 1 and Lesson 2) from earlier. We’ll be using those “rules” again for drawing inside wedges and copying & pasting them to complete the block. This lesson takes pieces made in Lessons 2-8 and joins them into one quilt layout.